One Plus 6 - a phone that is a joy to use? It might seem like I'm being hyperbolic but, man, this phone is just a huge leap forward for me relative to any other phone I've owned. It's smooth, fast, and really is a joy to use. Here are the key things that really make this phone stand out for me. It's so freaking smooth to use. Like, everything just "glides" as I move it around. The animation transitions are all not jittery. They just look perfect as they execute. It's as if I have suddenly found out how Android is supposed to behave. There is not a stutter in sight. It just works wonderfully and that interaction where everything does what it is supposed to without any hiccups really forced me to admit I actually like interacting with the phone. It's fast. This is partially related to the prior item dealing with smoothness becuase all of the transitions and animates are fast and flawless. But, beyond the visual UI experience the antennae for WIFI and LTE are so much better than what I've had in any phone before. In my office we have some big wifi dead spots - but I don't have any with this phone and downloads on the wifi or lte networks happen so much faster than they did on any of my previous phones. I couldn't believe how quickly I got all the apps I really wanted onto the phone. Just, bam! and they were downloaded. The screen feels huge even though the phone is only a little bigger than my prior phone, a (Sony Xperia XZ)[https://rawlinson.us/2017/sony-xperia-xz---a-brief-review]. That's because there is almost no bezel on the top or bottom of the phone. So, while the phone is just a touch wider and taller than the Sony I have a ton more real-estate space. The 1+ 6 has a notch; it's a smallish notch and it's the first phone I've had with a notch. I have remained somewhat skeptical of the idea of a notch. But, now that I've interacted with one I have to give kudos to Apple for the idea. 1+ executed it well but Apple thought of it. Basically, it's like they've just moved the notification bar up and out of the way. The notification bar was already, basically, a waste of useful screen real-estate so having those icons and clock and whatnot in the top area with the notch frees up the good area of the screen while only using a bit of bezel for the camera and the rest is utilized for the notifications and such. It's really nice actually. The camera is pretty solid to me. I'm not photog but I do take a lot of photos and both the front and rear facing cameras seem to take really nice photos. The rear camera has it's own version of "dark vision" like the Pixel. I know it isn't as good as the Pixel's but it took a pretty good photo when I tried it. This photo was in a low-light situation and the area behind my friend was really dark but it picked up everything nicely. Maybe a bit too much sharpness but overall I'm impressed. Here is a selfie using the front facing camera as I show off my reddit secret santa loot And, yeah, I need a shave. It came with a case. It's a "jelly" style case that covers the back and does nothing to protect the screen but it's a nice touch that in included a case. The face unlock works really well. I don't know if it is a good idea to use it - but it gets the phone into "lets do this mode" so fast I am reluctant to turn it off. I don't like the finger print reader. It's probably fine but the small shape makes it awkward to use. It would be better if the area for it were round. Yeah, that was it - one thing I don't like and it's a niggle of an issue. This phone rocks. Assuming 1+ does a good job of keeping the phone updated and their future phones are as well made as this one I don't forsee me switching to another manufacturer again. This phone is awesome. This phone is hands down better than any of the others I've owned or used. I bought my kids 1+ 3T's for Christmas last year and thought I liked the look/feel of them when I set them up but I didn't realize the phones 1+ make were so good. I liked my Sony phone but I'm really glad I've moved onto this 1+ 6. I didn't get the 6T because this one was much less expensive and the majority of the internals between the two were identical. Do you sometimes feel like "donating" really isn't the same as doing the work? By donating to a cause you are directly translating your normal every day work into work being done for a cause. It is a tangible way to give your job more meaning - by sharing your hard earned money with a group doing something you care about. You are trading your time for someone else who is expertly positioned to do the most good for your cause. It's just as good as volunteering; so don't feel like you aren't doing enough by donating. Just donate to the groups you KNOW are doing the work you care about. With that said, I hope you will donate to Dress For Success who help women who are in a bad place become self-sufficent and to overcome all sorts of obstacles. Dress For Success literally helps women pull up their bootstraps and helps them change their lives, for the better, for good. I'm donating both my money and my pride by preparing to run around in high heels. I'm not asking for your pride but I am begging for your money. Please, consider donating today. This past Thanksgiving (2017) we were fortunate enough to receive four free tickets for bleacher seating at THE PARADE. Like most American's we'd watched the parade on TV before but we'd never witnessed it in person so we were pretty excited to get to see it live in pseudo-VIP style. Our Tickets were for seats right at the start of the Parade near Central Park. Our Hotel was in mid-town Manhattan right near the end of the Parade at Macy's. It turns out these to locations aren't particularly close to each other. Our plan was to take the subway from near our hotel up to the closest station we could find to our seats. This was easier said than done because many of the enterances to the subway near our hotel were closed for the parade and some of the stops along the way to our destination were closed due to the parade. We didn't know that in advance so we were scrambling a bit between subway lines in order to get close. Somewhere, either on the tickets or on a info packet that came with them, we had read we needed to be at the enterance to our seating area at least an hour before the start of the parade. We just made it to the enterance - but not really because there was a HUGE line that wrapped all the way around two sides of a city block when we arrived so we queued up and hoped for the best. The line moved fairly quickly and once through there was no real congestion until we were almost at the bleachers. Then we were stopped in another line for some unknown delay. Eventually whatever the hold-up was disolved and the group we had become a part of in the line were escorted to our seats. This may have been the coolest part of the parade for me. We actually had to walk a long ways down the main road of the parade past tons of people who were sitting in the bleachers already awaiting the start of the parade. "While in Rome..." they say so I pretended like I was in the Parade and waved at lots of of the people and enjoyed seeing them smile back and wave while enjoying my goofiness. I, of course, videotaped it. Eventually we reached our seats. The bleachers are metal so, as you'd expect in late November, they were cold. Fortunately, Lisa brought a blanket we were able to put down first. As you can see from the aforementioned video the bleachers are not tall though the seating can be a little cramped. We had some really fun and kind people right around us which really made the experience even better. Seating is truly "first-come-first-serve" in the bleachers. If you have a ticket you get a seat (unless you get there after they are all full) but you don't have a specific seat. So, get there earlier for the best seating. We arrived late and thus our seat choices were pretty poor in terms of visability of the parade. We had a pretty large tree obstructing the view a bit so getting good photos of the various balloons was tricky. When the parade ended leaving was pretty easy; especially since we were near the end of the bleachers. We walked into Central Park and hung out for a bit (and checked out Strawberry Fields for our young Beatles fan) before heading back to the train to get back near our hotel. Bring extra blankets to sit on and cover yourself with if it's seasonably cold. Get coffee/tea before you enter. There are some food vendors inside; but they are busy. Get there earlier than you think you should for the best seats. If you're staying in mid-town you can bring folding chairs and set up with seats on the side of the road really close to the end of the parade. Just get out there early. Like, 3-4 hours early. The marching bands do play at this part of the parade. None of the broadway shows do a thing at this part; that just happens at Macy's I think. Hey, so I assume you've heard of Bitcoin and you're interested in getting into the crypto-coin world. Maybe you've heard of "Ripple" (XRP) and you're curious about how to buy some. But, it seems overly complicated (as of this writing it is) but you'd still like to do it and want a simple(ish) guide to doing so. Well, I'm here to help. You want to transfer from Coinbase to GDAX first to help avoid some expensive fees. Here are some more details on each of those steps. Coinbase is easy to use though validating your identity can be tricky at times. I prefer to try to use my debit card/credit card to buy these things so I suggest you verify your identity so you don't have to attach your checking account to Coinbase. Using your card makes the transaction happen A LOT faster too. If you use your bank account it takes about 7 days. If you use your bankcard you get "credit" right away but you don't actually get the coin until the transaction is verified. That could happen in 10 minutes or 24 hours depending on how busy the network is. The final destination site, Gatehub, only supports a few digital currencies so you need to make sure you only buy one they support; of those Coinbase currently sells Bitcoin (BTC) and Ethereum (ETH) are the only two Gatehub supports; but the transfer to GDAX goes easier if you buy BTC. Once you have the digital coin on CoinBase you have to send that to GDAX. For the rest of this article I'm going to assume you bought some BTC. NOTE: It is actually cheaper to buy the BTC on gdax.. You would basically deposit cash to CoinBase then transfer it to GDAX instead of bitcoin. If you're on the same computer and you're already signed into Coinbase then a GDAX account will be easy. Just click on sign-in (I think) and it will automatically create your account tied to your Coinbase account. You have to agree to something legal but then you can proceed. Once you're in GDAX took to the top left of the page. There you'll see a "BALANCE" section and under it is a grey link for "DEPOSIT" click on that. A dialog pops up and on it you can click on the "Coinbase Account" tab. From there change the dropdown to make sure it says "BTC Wallet" and then set the amount to however much of the BTC you bought you want to transfer. Once the money is on GDAX you're going to need to move it to Gatehub. This is maybe the trickiest part. Go to Gatehub. You'll have to create an account. You'll probably have to do some identify verification again. Sorry, but banking laws make these sites jump through a lot of hoops to help identify money laundering so you have to jump through hoops too. Once you're identity is verified and your account is created fully you can click on the "wallet" icon on the left menu. From there You can click on 'Deposit/Receive" at the bottom. Then click on the "BTC" tab and then "Connect a Gateway". You'll have to enter your Gatehub password then agree to the Gateway it suggests. You'll then get a list of "Gateways". Ignore those and go back to the bottom and click "Deposit/Receive" again. Then click on the "BTC" tab again and this time click on "Generate BTC Address"
NOTE: Make sure you only ever try to send BTC to a BTC Address. If you try to send Ethereum or some other currency to a BTC address you will almost certainly lose your digital coins. BE CAREFUL! It's your money. Once you have the BTC address click the clipboard icon and it will copy that address (it will even tell you "copied!". Now go back to GDAX. At GDAX click "Withdrawal" over in the "Balance" menu on the left again. Then click on the "BTC Address" tab in the dialog. Next put your BTC address from Gatehub in the BTC Address field. Pick the amount of BTC you want to send to Gatehub. Finally, enter your two factor authentication code (if it is required). And finally, click "Withdraw Funds"
Now, wait for your money to appear at Gatehub. Go back to Gatehub and click on "Exchange" in the first dropdown pick "BTC" and in the second pick "XRP". Under the BTC dropdown specify how much you want to spend and it will auto-fill the XRP field. Then click the "Exchange BTC to XRP" button. If you don't have bitcoin or dont want to deal with other digital currencies you can go through the whole process on Gatehub to buy XRP with cash. You just have to add a USD gateway and then fully verify your account there.. Then deposit cash, then go to the "Trade" section and you can just straight up buy Ripple without doing any kind of exchanges. This may be more expensive as I have heard you can only "wire transfer" cash there which is expensive. Another option is to buy XRP on Bitstamp which is relatively easy. You do have to verify your identity but then you can use your debit card to buy it. Your bank may flag it as a fraud transaction so you'll have to confirm it then try again if that happens. Your bank may also charge an international transaction fee because Bitstamp is based in the UK. Last summer I aquired a brand new, top of the line, Samsung Galaxy S7 Active. However, a few months later the protective lens on the rear camera inexplicably shattered and neither Samsung or AT&T gave a damn. Slowly, of the next 11 months the camera lens itself was damaged thanks to the missing protective cover and the screen has started to exhibit pink lines down the length of the right side. Overall, I've been disappointed. The camera was excellent while it lasted but, for a $700 device it didn't last long enough. The camera is probably the most used feature of my phones. I love taking photos of things I see and places I visit. But all of my photos started to be very fuzzy and to have four black blobs scattered around the center of the image. It was unacceptable. 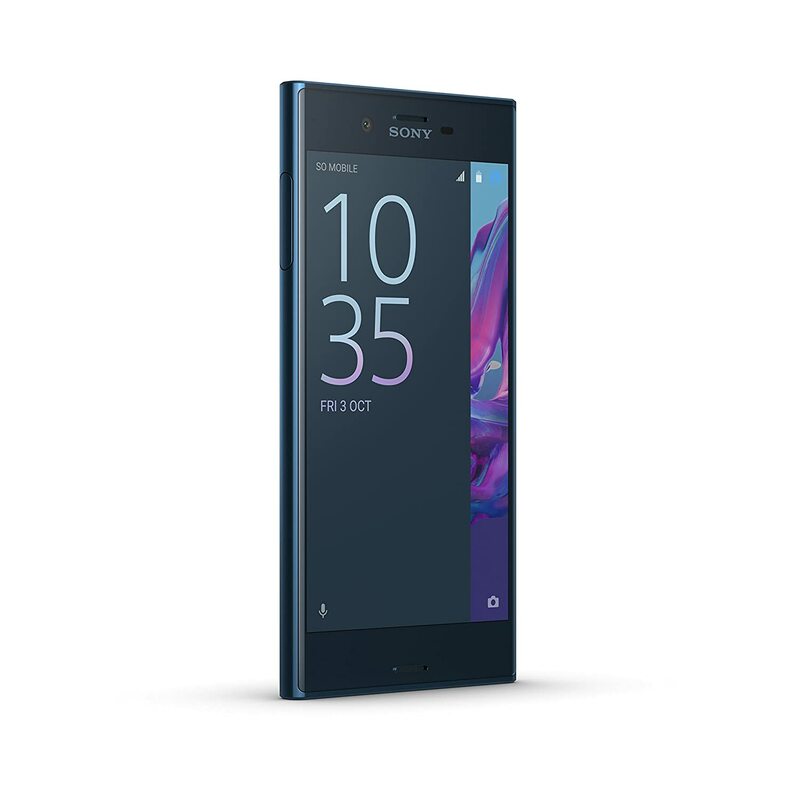 So, this past weekend I bought another flagship phone from 2016 - the Sony Xperia XZ. I basically went on the hunt for another phone of the same period with an equivalently good camera but which wasn't made by Samsung and which would work on our companies cell plan with AT&T. The Sony was the winner and, at only $350 brand new, it seemed like a pretty good deal. I've now had it in my possession for one day and I'm currently satisfied with my purchase. It comes with an even newer version of Android (7.1.1 ) than my S7 had (7.0.1). The rear camera is fast and takes really nice photos. The Sony UI is basically vanilla Android. One handed operation is super easy. It's the perfect size for my hand. The body is slick - my wife fears she would drop it almost instantly. She was afraid to even test the phone less she break it. The screen and body both really show off finger prints. I've never really noticed finger prints on a phone so much before. The buttons are so subtle that I have to physically inspect the phone to figure out where the power button is some times; it's hard to tell if I have the phone upside down or not just by touch. I suspect I'll get better at this. I can't rearrange the notification panel shortcuts. Like I want the flashlight to be in the first row so I don't have to swipe down twice. screenshots are taken a bit differently. You have to long press the powerbutton then select screenshot from the menu. Or, you can press power and volume down at the same time. This second way is a better option as it doesn't change the screen at all. Overall, so far, I'm happy. I might get a lightweight case to improve grip - just to be on the safe side. But, at least for now, I'm not thinking about rooting the phone and installing a custom rom on it. Though I did switch out the launcher for Nova - I just prefer a more customizable UI. Today's laundry care tags are useless. You need a damned decoder ring to understand them.